My background is in physics. The workings of nature have always fascinated me. But I am most intrigued by how life exploits the laws of physics to solve tough engineering problems. Dynamics and control of legged locomotion is such a tough engineering problem. The legged robots that we have built so far struggle with it; they barely survive outside the laboratory environment. Nor do artificial legs reach far beyond peg legs that offer a mere support to their users. Even when legs are perfectly intact, as in spinal cord injured patients, we do not know how to engineer locomotion controls for them. Animals and humans, by contrast, display an unsurpassed agility and ease at mastering the problem of legged dynamics and control. 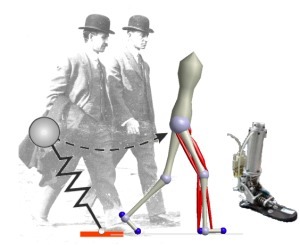 the design and control of legs in humanoid and rehabilitation robotics. I believe that understanding the principles of legged dynamics and their connection to motor control will change how we simulate human locomotion, engineer artificial legs, and rehabilitate patients. 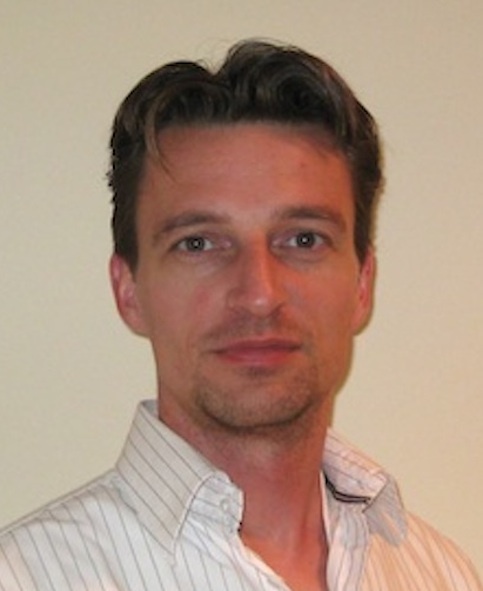 This research involves developing mathematical and computational models that capture essential problems of locomotion biomechanics and motor control, conducting animal and human experiments that test and inspire these models, and building robot legs that translate the model results into rehabilitation technologies. Follow the links above or on the left for more details about my research.